Harrod Sport Netball Posts are used in top level venues and events, such as International Test Matches and the Commonwealth Games. Competition and Practice Netball Posts are manufactured in the UK and available in aluminium or steel. Netball nets and post protectors also available. Ideal for use at all levels of practice and play. NB1RP posts 16mm solid ring. Regardless of level, all of our posts are prototyped, developed and built to professional standards in Lowestoft. We supply a wide range of post protectors, nets and rings to show off your team's colours at every level of the sport. From refining designs and materials to improving safety, portability and easy storage, Harrod has prided itself on innovation for over 60 years. All Harrod netball posts are designed to conform to the latest safety standards. Freestanding netball posts can be used for training, junior competition and recreational play. Floor fixed posts are ideal for solution for indoor courts that are unable to have ground sockets installed. Socketed posts are ideal for County leagues and any higher levels of competition. Sockets and nets are included. The official rules require posts set at a height of 10ft, with a ring that has an internal diameter of 15 inches. A net and post padding are also required. "As the official supplier to England Netball, Harrod manufactured netball posts have been used in major events including the Fast5 World Series, the Vitality Netball Superleague and the 2017 Malawi Series." Team colours and branding are available on netball post protectors. Colourmix freestanding netball posts offer a fully adjustable ring height and a choice of eight different colours for the ring and the solid steel base. Colourmix posts are made to order and the lead time is 3-4 weeks. Other netball posts should be available less than 2 weeks from the receipt of an order. 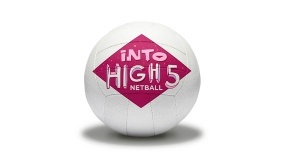 Competitive netball at all levels, including High 5 at primary school level, should always be played on a full-sized court. Informal mini courts are recommended for non-competitive games where space is restricted. If properly maintained, posts can last for years, but general wear and tear and rust could reduce the life of your posts. To protect against this, regular maintenance is essential. This includes regular checks for fixtures and fittings and the use of maintenance spray when required. Harrod produce a wide range of netball posts, nets and protectors for all age groups, abilities and courts. Take a look at our range to find the right type for your school or club.